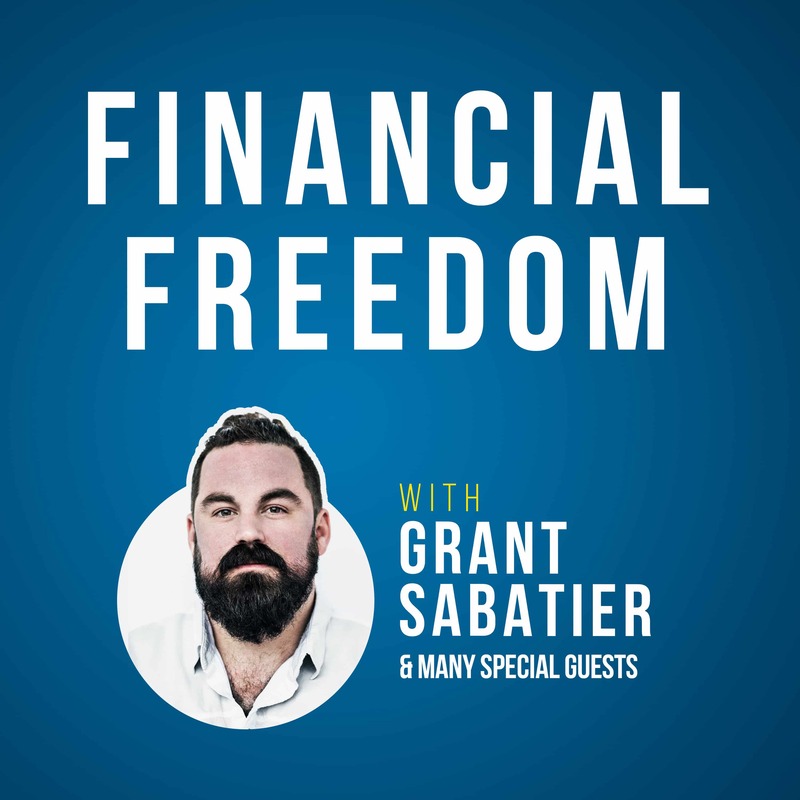 I’m excited to announce that I’ve launched a new podcast called Financial Freedom, where I’ll be interviewing remarkable people about money, meaning, and everything in between. I’ll also be bringing people on who inspire me to share their stories, as well as interviewing all the amazing people I profile in my book Financial Freedom. I first started podcasting in 2016 and quickly feel in love with it. I really enjoy the freedom of the podcast format and getting into the flow of a good conversation. My plan is to release new episodes of the Financial Freedom podcast every Wednesday (I’ll do my best to stick to the schedule!). I’m very excited for this journey and hope you join me. Check out the first episode below! There are currently a few ways to subscribe and listen. A QUICK FAVOR: If you enjoy reading Millennial Money and/or the podcast it would mean a lot to me if you took 20 seconds to leave a review on iTunes and subscribe. Reviews will help me reach more people. Thanks! I am also going to be posting new episode each week on Millennial Money with transcriptions, relevant show notes, and links. Alright without further delay here is the first episode. One of my earliest childhood memories is of my Dad telling me “Money is Freedom”. It has stuck with and inspired me deeply. For the first episode of the Financial Freedom podcast I invited my Dad to discuss freedom, money, his challenges growing up, and what’s next as he plans for retirement. My Dad is an incredibly humble and quiet guy, so it took some convincing to get him on the show. But I wanted to launch the podcast with the man that inspired my own financial freedom journey. Enjoy! Hey everyone. 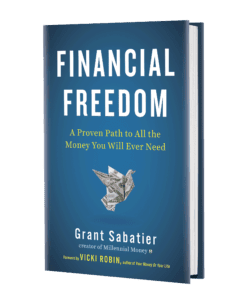 This is Grant Sabatier and this is the financial freedom podcast. This is the first episode and I’m very excited. I have a special guest. My father. I’m back home in my childhood home here, hanging out with my parents for a couple of days. And really it’s my father who inspired this entire financial journey. I remember one of my earliest memories being a kid when he would say money is freedom. I remember that, you know, Gosh, I probably five, six years old, the first time that you told me that, and it’s pretty funny now, you know, 25 plus years later, uh, that I’ve written a book called Financial Freedom and that I’ve spent so much time really trying to think about it and figure it out. So where’d that come from? Money is freedom. What does that mean to you? 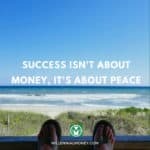 Money is freedom means to me that if you have enough money, you can do whatever you want. You know, my goal is always been to have freedom and have enough money that if I decided I didn’t want to work, if I wanted to go live at the beach for the rest of my life, or if I wanted to take a road trip or take a few weeks off, or if I had a boss or somebody that was mistreating me I didn’t like working for them. I could just go. Basically. You just have the freedom to just do whatever you choose to do. You’re not tied down to anything, you know, don’t have house payments and car payments and credit card payments and you know, a lot of consumer debt or any other kind of debt. Because what you’re doing when you have a lot of debt and you’re working to pay those debts and your. A lot of people work and I just try to make ends meet is you don’t really have any freedom. You know, your, your life is being dictated by the people that you owe the money to. So to me the financial freedom or the money is freedom, is that my goal was always to try to, you know, I grew up with meager means and my goal was always to try to have enough money that I could do what I wanted when I chose to do that. I appreciate that extra context as a five or six year old hearing that, you know, it really stuck with me, but it’s really hard to understand what it means. And I remember just growing up how you were very thoughtful in, uh, you know, teaching me about money, but also in your own approach to money. I mean, you’ve always been extremely frugal. 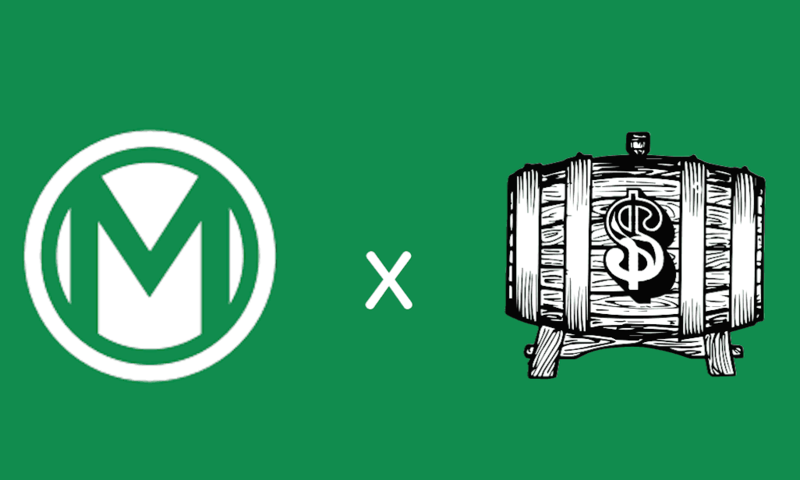 Can you talk a little bit about, uh, where your money views come from? You’ve mentioned briefly, you know, growing up with meager means, um, you know, I know you had some challenges just growing up. Can you talk a little bit about, uh, you know, what it was like growing up? Well, I think what really helped me to get my respect for money as I grew up with my grandparents, I didn’t grow up with a father and a mother. My grandparents took care of me and my grandfather was a French immigrant and he always worked menial jobs and try to make money and, and try to make a living and put food on the table, et Cetera, et cetera. And they never had any money. They were always struggling. They were borrowing money periodically at, you know, from finance companies at high interest rate and, you know, and as a result of that, at one point in time they ended up getting a divorce and losing their home. And that always resonated with me that I didn’t really want to take that approach. Uh, so I know they, you know, in hindsight, I think they did the best they could. They loved me and you know, I have a lot of respect, admiration, love for them. Uh, but I wanted to do something else. So one of the things that I kinda clued in on early, I thought at least at my time in the seventies, was to get a good education and I thought that might. I thought of course that would help me to get a good job where I could start building financial freedom more effectively, but I’ve always, always worked a two or three jobs when I was a young kid, you know, fifth grade I delivered 100 newspapers plus a day. I worked at a laundry mat, cleaning laundry mats. And the thing that I did is I didn’t spend that money. I held onto that money. So can you tell me a little bit about the jobs that you had really kind of growing up and through high school and college you seem kind of like the original side hustler. You had a lot of different gigs going from flipping mobile homes to I think even playing pool, you know? Can you talk a little bit about some of those jobs? Yeah, I’ve always had. I’ve always worked a couple different jobs at a time. I know when I was younger I delivered newspapers, as I said earlier, and I worked at a coin operated laundry. I used to go in and sweep the floors and cleaning the washers out and walk and mop the floors, et cetera. I did that. I worked in a job corps training center when I was in college and they gave me a deal where I could go in at 10:00 on Friday night and I’d work until 3:00 Monday morning and then I’d get out and I’d go to class and sometimes in the afternoon at Indiana University, I’d be in the student union sitting in chair sleeping, trying to catch a couple of hours or an hour of sleep in between classes because I took a full load. And I, I graduated from college in Twenty seven months, uh, with a bachelor’s degree. Uh, but I’ve always had several different jobs. Like I said, you know, I’ve cut firewood and sold uh you know, I’ve cut people’s grass. Um, I cleaned the offices. It real late in the evening when my wife used to work as it is as a publisher for a magazine, uh, just anything to make a buck and, you know, try to make a buck and hang on to a buck and that type of thing. Can you talk a little bit about, you know, I know kind of, you know, you were the first person in your, you know, in your family to go to college, you know, on your side of the family and I know you got quite a bit of pressure about it being a waste and you know, can you talk a little bit about some of those challenges and why you actually decided to go to college? I went to college because I thought it. I thought that a better education would help me to get a better job where I could have a more comfortable lifestyle and you know, at some point financial freedom. Uh, yeah, I got some slack when I went to college, you know, that it was a waste of time. And why would I want to waste my money and spend my money? Basically when I went to college, I went to college by borrowing money on student loans and I paid a student loan for close to 10 years, $134 and ten cents a month. When I went to college it was $28 a credit hour, so it was a lot less, a lot less money than it is now. But it was still a lot of money to me at the time, uh, but I just felt that college would give me a leg up on the job market, but also give me some personal enrichment and it would help me to kind of look at the world maybe a little differently in a lot of other areas. Uh, I was pretty sheltered. I grew up in a small midwestern, rural town and I just, I, I just wanted something else. Can you talk a little bit? So you wanted something else you wanted to get out and then you eventually made the big jump. When I was six months old, you moved from Indiana to Washington DC. Can you talk a little bit about why you made that move? It seems like you’ve really taken a lot of steps throughout your life to push against the grain and, um, despite, you know, growing up quite poor and in a rural area, you went to college and then you came to the east coast. Can you talk a little bit about, it seems like you’ve always had this desire for more and this desire to get out. Can you talk a little bit about what motivated that? We came out to Washington because we wanted a better life for us. We wanted a better life for you, uh, to try to give you more opportunity, which I think that we were able to do here a better education system, a lot of people, more people with open minds about things and thinking about all kinds of things. It’s quite different from the way I grew up and if someone would have said to me when I was growing up, this is where I would end up and I would be doing what I’m doing here. Uh, I would’ve never believed them. Uh, but it was, you know, I, I think that overall it’s been a good thing. It’s helped me to expand my mind and I’ve had a lot of opportunities here that I would have had if I’d have stayed in rural Indiana. So what does enough mean to you? Well, it’s not really enough to me as a. it’s a it’s not a dollar amount. It may not be the same dollar amount than it is to you or to anybody who’s listening. You know, that people may think that financial freedom for them might be $40,000,000. That’s by far not what I was thinking. It’s a lot, lot less. For me, financial freedom to me was a number that I have enough money, you know, to, to maintain me throughout my life. The standard of living that I’m, that I want and I’m comfortable to. And as we mentioned earlier, the podcast, I’m a fairly frugal guy so I don’t long for a lot of things. I don’t buy $80,000, Mercedes or anything like that. 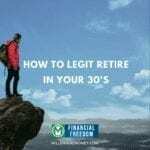 So I think financial freedom and that goal of how much money is a real personal goal and that’s something that’s going to be different for most people, but it doesn’t have to be a several million dollars by, by any means. 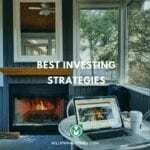 It may, it may be a million dollars or less than a million dollars and it may be allocated to investments where you can have a certain amount of money per month that you want to live. You know, there’s a number that I, that I have that I’m going to use, that I’m going to have per month to live on. Plus, i’ll have a cushion. Of course. Did you ever want to make more. Did you ever think about maybe pursuing a different career path or getting a different degree or just going after more? Uh, not really. No. If that’s something I wanted to do, I probably would have done it. The people obviously that want to make a lot a lot of money. They get into career paths where they can do that, you know, their, their goal is to make as much money as they can make. To me, that’s kind of fruitless, you know, it’s just if, if I had done that, I’d probably ended up giving a lot of bit of way, uh, because that’s not the kind of lifestyle I live, you know, that’s not what makes me happy. One of the things I’ve always wondered, and I don’t think I’ve ever asked you this a directly, is, um, you know, we live in a world where people are really sort of obsessed with material possessions. You know, people want the big houses and the nice cars and the boats or, you know, the shiny things are the shiny watches and, you know, why don’t you want those things or why weren’t the sort of trappings of success and wealth, uh, you know, maybe appealing to you that they’ve never been attractive to you. I think that’s a good question and it probably has a couple different answers. One being obviously I wasn’t exposed to those when I was a kid. And the second that I’ve seen people and I’ve had friends who have gotten into those things and they’ve gotten trapped, they’ve either gotten trapped with a lot of dad or a lot of stress or both and they just haven’t been able to live their lives to the fullest. And I think that, I think that probably more important than things are experiences. I think you need to get out and do some things and I’m kind of winding down at a point in my life now where I’m going to probably start doing more traveling and trying to experience some things that, that I’ve been saving all that money for and being frugal with over the years. So, but, but I just haven’t really felt the need to have a new rolex and new cars and expensive houses. Uh, my wife and I’ve lived in the same house for 30 years, you know, it’s where Grant grew up, you know, he was like two years old, I think when we moved here or something. So. And the house is nice, it’s fine for us. Uh, I drive, my car is a 2004, so a 14 year old car. So I just haven’t. The trappings of wealth, if you will, just haven’t really appealed to me. So how’d you learn about money? What was that process like? Well, I think that, you know, I think I picked it up over the years and I picked it up from various sources. Obviously, you know, you run into people who become mentors and they tell you different things about the way they handle money. And early on I had a guy, there was a guy that I worked for and he had an MBA from Indiana university and, and he, and he explained to me a little bit about money and how money was freedom in a sense, but he, uh, he was the first guy and in the state of Indiana and maybe in the country to own coin operated laundry machines. And He, uh, he started those and he was a businessman all his life. He bought rentals and sold them. And, you know, a lot of times you just, you know, you see people like that and, and you know, that you just become an all of them and how they hold onto that and how they do that. Uh, one other thing that I did is I read a book by Andrew Tobias. That was very good. It kind of explained money to me. I’m not like a phd as far as money. It’s just a lot of common sense I think that I’ve used and put into practice over the years. And you know, one of the big things is obviously you don’t, you know, don’t spend more than what you make. And one of the things, you know, I’ve always kind of gotten on you for at least over the last five years, was just kinda keeping so much money in cash. Can you talk a little about why you like keeping money in cash? I like cash. I’ve always liked cash, I never liked checks. I never liked credit cards. I think to me the cash just seems more tangible than a credit card or an investment. Uh, I like having a certain percentage of my money liquid in case I need it. Maybe I want to buy a beach house or something. I’ve been thinking about maybe getting a place, uh, you know, to kind of wind down and get out of the hustle and bustle and you know, kind of spend a lot of the remaining years, you know, I liked the ocean a lot. I like fishing and you know, I’m getting a little tired of sitting in traffic around the city here around Washington DC. So I just, I don’t know, I just always like cash, I’ve always liked cash from the beginning when I used to go collect money from those papers, you know, forty five cents a week and of that forty five cents a week, I got to keep twenty cents per customer. And uh, I always liked cash. Yeah, no, it’s really funny. We were actually, we just came back from a week at the beach hanging out together and uh, you know, we wanted some beach chairs and we were debating whether we should rent the beach chairs for it was like $80 for a couple of beach chairs and an umbrella or whether we should go buy them. So we went to the, we decided to buy them and we went to the dollar general store and we were just blown away that these beach chairs were $30. We thought they should be like $10 and we probably spent 30 minutes in this dollar general store debating whether we should buy these $30 beach chairs in this $9 beach umbrella. It was, it was really fun. I really, really appreciated that. You know, I’ve thought a lot about while writing the book about growing up, um, and just a lot of the lessons that were instilled in me about money. And I think the biggest one is definitely that frugality doesn’t mean pinching pennies. It means not wasting. And, you know, I never felt like, you know, even back being a kid when I know we didn’t necessarily maybe have a lot of money, I never felt deprived, always saw opportunity, you know, I really appreciate, you know, you instilling that lesson. But here you are, you know, you’ve been working hard. You’re, you’re getting close to retirement, uh, you know, the next couple years, what are you excited about next as you, as you get closer to retirement here? Uh, I’m excited about this. Just being able to uh, not have to get up and go to work in the morning and not have any set schedule. I still plan on doing some work. Maybe some volunteer work. I liked to do like 50/50, just have you know, 50 percent of my time and you know, I can read or workout or, or whatever I want to do. And then the other 50 percent maybe do some volunteer work or something like that. As far as leaving my job, that’s going to be difficult because I have a lot of friends there and there are a lot of people that I’ve worked with, a core group of us have six or eight people that we’ve all worked together 25 plus years. So those people are my coworkers, but they’re also my friends. I know them, I know their children, uh, and I genuinely like them. They’re like my, almost like my second family. So it’ll be difficult transitioning from that, but. But I’m going to take the 50 /50 rule, you know, I’ve got a couple of retirement books on what to do and what’s supposed to make you happy in retirement. So I think, uh, I need some intellectual pursuits, so I’ll do that and then I’ll do some traveling. So now that you’re getting ready to transition into retirement, you’d mentioned you want to teach yourself how to spend money a little bit. Can you talk about what you mean by that? Well, I’ve actually been trying to do that the last few years and my wife and I’ve lived this, like I said earlier, we live in the same house for 30 years and uh, and needed some work done on it. My wife has asked me, you know, can we do this work? Can we do the modeling? And they add on update the kitchen and the bathrooms at all that, you know. And all I’m saying is dollar signs, but then I’m looking and I’m thinking, well, you know, I’ve worked hard, my wife has worked hard and we’ve got plenty of money will be fine throughout our lives, you know, we’ve had, we have one child, a strong independent son and uh, who I’m talking with here. Uh, but so I thought, well, let’s just do it, you know, we’ve worked hard. Let’s, add onto our house and do it in and enjoy the rest of it. Whereas to have a wall, we’re living here and you know, who knows, maybe we’ll have some grandchildren to come visit, et cetera. So, so we decided to do that. And then, you know, now I take more time off from work, now I’ll take some vacations and, and uh, you know, if I want a new suit suit or sport coat or something, you know, I don’t have a problem going and buying two or three sport coats, whereas before I would not do that. So one of the things, you know, just spending the past week with you, I know we got a lot of chance to chat and I’m always amazed that for such a quiet guy, just the depth of your thinking and your insights and really your, your curiosity, any kind of things you would have done differently now looking back? You know, I think that hindsight’s always 20/20 and when you look back they’re always saying that you could and you would do differently. But uh, the other side of that is I’m quite satisfied with the way things turned out and what I did do. Last question here, what do you think ultimately makes people happy or how do they find what makes them happy? Obviously we touched on this earlier. Money is not going to make you happy. I think you need to need, I think you find happiness from personal satisfaction, a lot of different things, whether it’s making money or saving money or traveling or your job, uh, I think, you know, having a job that you enjoy, you can get a lot of satisfaction from that. Uh, but I don’t think that you could buy yourself happiness or personal satisfaction, you know, money’s just a tool and that’s, that’s all it is. It’s like a car. Anything else you know, you need to have. You need a car that’s gonna get you from point a to point b. You need to have enough money to get you from point a to point b. Hey, you know, I just can’t thank you enough for all the lessons and the inspiration and the guidance and I’m really excited to see what you do in retirement and for that part of the journey. Thanks for being on the first episode of the podcast. Thank you, Grant. I wish you the best. Awesome! So excited for your new podcast, Grant! I’ll be following along!